Face-distorting acceleration, world-class handling, exceptionally easy to drive, low MSRP. No manual-transmission option, hefty curb weight, polarizing exterior design. The long-awaited 2009 Nissan GT-R debuts, replete with a twin-turbocharged V6 engine, all-wheel drive and legendary Skyline heritage. Starting MSRP $27,680 – $37,260For the first time since it debuted for 2004 as one of the earlier car-based SUVs, typically called crossovers, the midsize Murano five-seater has been redesigned and reengineered for the new model year. The 2009 Muranos hit dealerships early in January 2008. There is no 2008 model. 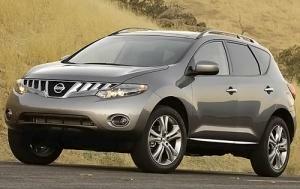 In price and size, the Murano competes with the Ford Edge, Honda Pilot and Toyota Highlander. Starting MSRP $30,160 – $32,860Nissan says the redesigned Maxima returns to its four-door-sports-car roots. That’s a designation the car held in previous generations, though it’s one that eroded a bit in recent years. 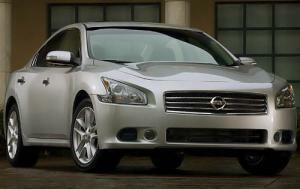 As Nissan’s flagship sedan, the Maxima competes with cars like the Toyota Avalon and Ford Taurus. 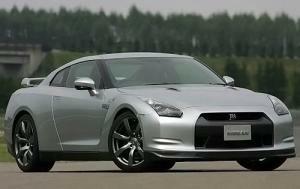 Starting MSRP $76,840 – $79,090The Nissan GT-R is the latest model that will come to the U.S. after years of being sold overseas and dangled in front of drooling American car fans. We were similarly taunted for a long time by street-legal versions of Mitsubishi’s and Subaru’s World Rally Championship cars. They finally made it here in 2003 and 2004, respectively, in the form of the Lancer Evolution and the WRX STI. Starting MSRP $13,990 – $19,370Scion changed preconceptions about exactly how boxy an econobox could be with the original xB a few years ago. Now Nissan — as well as Kia, with its new Soul — is unleashing its own boxy economy car, the Cube, which has been a hit in Japan for some time now. Competitors include the xB and Soul, as well as perhaps small SUVs like the Honda Element and Jeep Patriot. Starting MSRP $29,930 – $34,460Nissan’s latest Z car promises not to offend fans of the outgoing generation — it looks pretty similar but, not surprisingly, offers more power. Accordingly, the numerical designation changes from “350” to “370” to account for a larger V-6 under the hood, with output climbing to 332 horsepower from last year’s 306 hp. Other changes include a new interior, retuned suspension, larger brakes and a new seven-speed automatic transmission option.